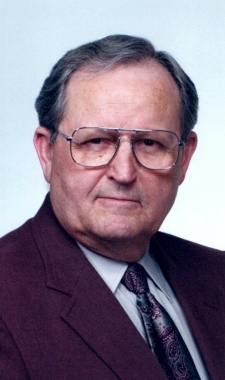 Walter Wiseman, age 94, father of Janice (Stuart) Martt of Harrodsburg, passed away at Thomson-Hood Veteran Center on Friday, July 6, 2018.Walter was born in Hargett, Kentucky on April 29, 1924 to Andrew and Sobrina (Shepherd) Wiseman. 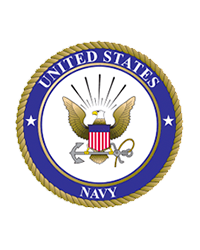 He was a D-Day survivor of WWII serving in the United States Navy as a gunners mate. After his discharge from the Navy, he made his way to Fairhaven, Ohio to find Annabelle Larrison. They were married on June 14, 1947 and together created a family with three children. Walter was gifted as a carpenter. He and Howard Roberts and crew built thousands of homes in Hamilton and Oxford over a 35 year period. He was sought after for his ability to build beautiful open, spiraled wood staircases. After finishing up their last home he joined the team in Miami University’s Carpentry Department retiring from there in 1989. In our family he is known for the building of strong foundations; modeling what a man of God looks like in his words, his actions and how he deals with people. His strength and quiet example is a loss to us but also a guiding light to follow. Walter is survived by his children, Linda (Michael) Stricker, Leslie Kenneth (Peggy) Wiseman, and Janice (Stuart) Martt; his grandchildren, Stephanie (Trey) Duncan, Leah (Rob)Lewis, Sabrina (Kevin) Casey, Jordan (Josh) Anderson, Courtney (Casey) Watts, Brittany (Casey) Cox, and Weston (Alexis) Martt; his great grandchildren, Kayla (Lucas) Brockman, Brody (Anwar) Rutherford, Sydney, Ciara and Ian Lewis, Brooke and Nicholas Casey, Emma and Ava Anderson, Griffin Duncan, Annabelle, Yana, Eden and Jade Watts, Gabriel, Haley and Heidi Cox, and Gentry Martt; his great-great grandchildren, Tierney, Joah, and Adelae Brockman; his brother, Houston (Linda) Wiseman; his sisters-in-law, Sheila (Steve) Pierson and Donna (Richard) Smith. Walter was preceded in death by his wife of 60 years in 2007, Annabelle (Larrison) Wiseman; his grandson, Gabriel Martt; and his parents. Funeral service will be held at Brown Dawson Flick Funeral Home, 1350 Millville Ave, Hamilton, Ohio, on Saturday, July 14, 2018 at 12:00 PM. Burial will follow at Fairhaven Cemetery. Visitation will be held on Saturday, July 14, 2018 from 11:00 AM to 12:00 PM at Brown Dawson Flick Funeral Home. Memorial contributions can be made to the Galilean Children’s Home, 712 S. Fork Church Rd. Liberty, KY 42539. 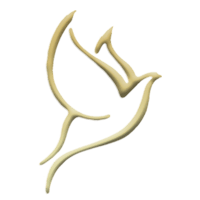 Sims Funeral Services are in charge of local arrangements.